"BOYzarro RE-DEATH" part two! What do you get when you try to fit a boy from a square planet into a round one? Boyzarro! 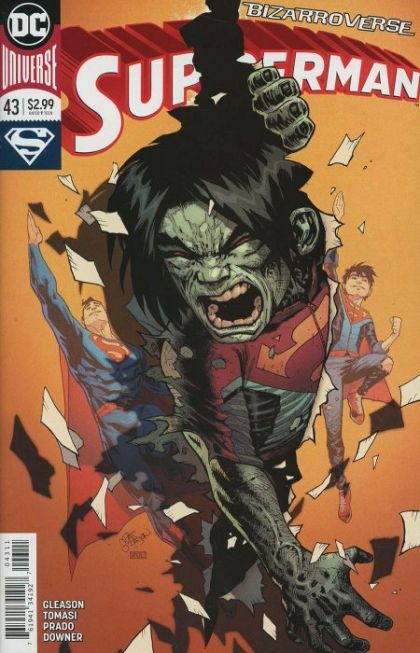 Superboy and Kathy try to keep the lid on their Bizarro-sized can of worms as Boyzarro tears a rage-filled path of destruction from Metropolis to Hamilton and beyond! But what happens when Superman and Bizarro find out what their kids have been up to?